春天終於到了!!!! 經過了今年這捉模不定的冬天, 想必大家都已經悶在家悶到快發霉了吧!! 因此TAANY將在4月9日星期六租巴士開團到NJ的Branch Brook Park賞櫻. 如果不想要花四小時的車程到DC賞櫻的, 就跟我們一起去NJ賞櫻吧. 櫻花還是一樣美, 但只需一小時多的車程! Spring is officially here! After surviving this long and cold winter, we know everyone are ready to go outside and enjoy the warm and shining weather. 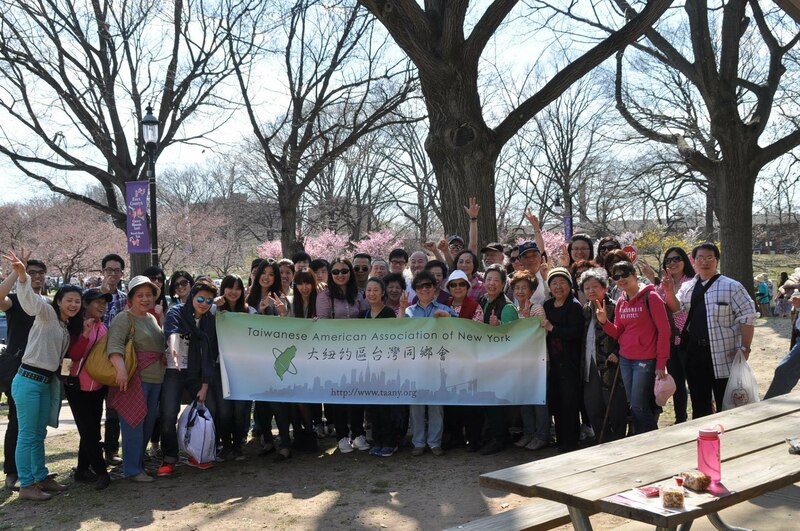 Since it has been a while that everyone has not hung out together, TAANY is going to host a Cherry Blossom Trip to the Branch Brook Park in NJ. The Branch Brook park is the largest and the best park to watch the cherry blossom in NJ. It will only take about an hour bus ride to the park, which is way more attractive than the 4 hours ride to DC and you get to enjoy the similar view and hang out with the coolest TAANY crowd. ]We will still have two pick up location:9:00AM at Taiwan Center at Flushing and 9:45AM at 42st, 5AVE. Please save the date and stay tune. Look forward to seeing you in the trip~The deadline to register is 4/6!